The Acer Iconia W3 Series puts desktop PC productivity in a tablet, so you can work on the go more conveniently than ever. At 8.1-inches, it is compact enough to hold in one hand, yet sports a screen big enough for comfortable viewing. With Microsoft Office Home and Student 2013 and sporting 8-hours of battery life, this tablet keeps you in touch and productive while traveling, at work or play. 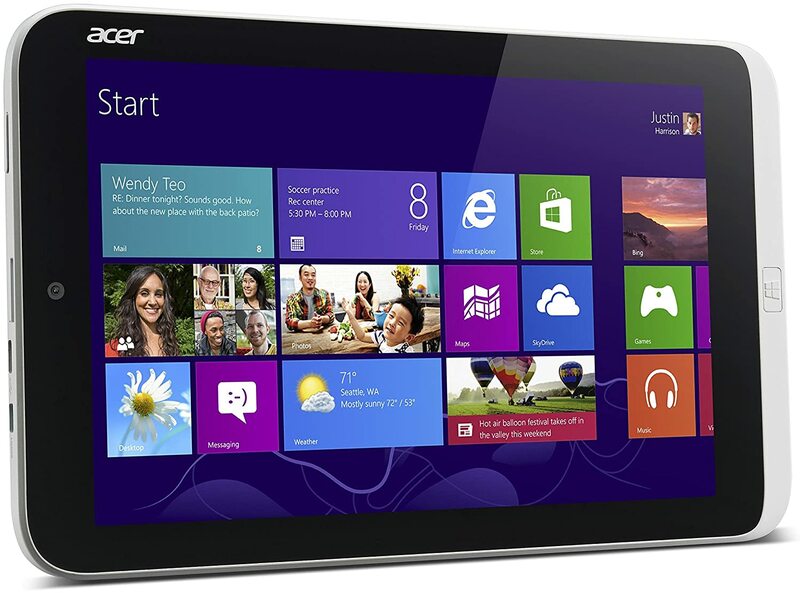 Rounding out this premium mobile-productivity package are Windows 8 and a robust Intel processor. 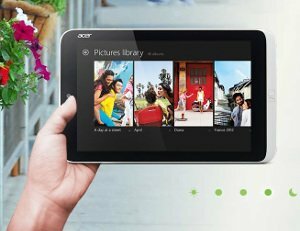 The Acer Iconia W3-810 tablet is a powerful device, perfect for people who like to stay productive as well as entertained while they are on-the-move. Although it is a compact device, it is equipped to give you a desktop-like functionality, ensuring an optimum performance. 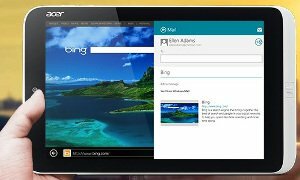 Running on the Windows operating system, the tablet is powered by a dual core processor and is compatible with a range of applications that let you carry out a variety of tasks anytime, anywhere. Needless to mention, you can use it for watching movies, listening to music, playing games and much more when you have some time to kill. One of the most important benefits of the dual core tablet is that it doesn’t need to be kept tethered to a wall socket or a charging port at all times. The device incorporates a 3400mAh Li-Polymer battery that delivers usage time of about 8 hours on a single charge. So, you can make your presentation, listen to music, watch movies, browse the Web and stream videos, update your social networking profiles and do a lot more on this device at a stretch.